Whether you are going to cheerleading practice or the gym, this polyester version of our best-selling nylon roll bag from Liberty Bags is a perfect tag-along. 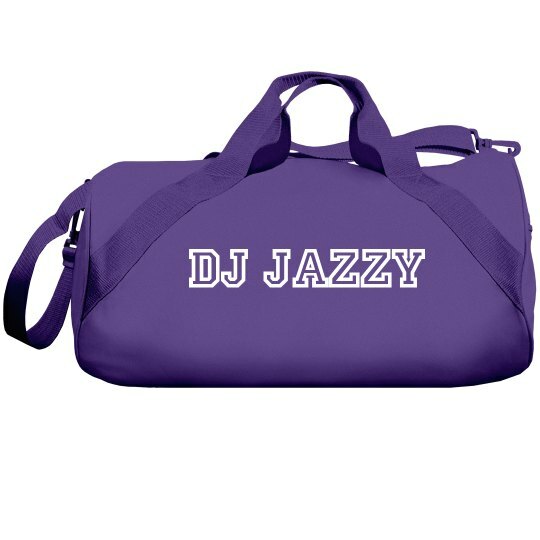 Add your favorite team name or your own personal design and you are ready to go! So what's denier? Denier is a unit of weight to measure nylon or silk, mostly seen used in hosiery to describe the thickness of the material used. It also relates to the opacity of the material: the higher the number, the less opaque the item. For example, sheer nylon tights for women average around 20 denier; opaque usually 40 denier. Most nylon bags on this site are 210 denier nylon, so they are very thick and durable, yet flexible.